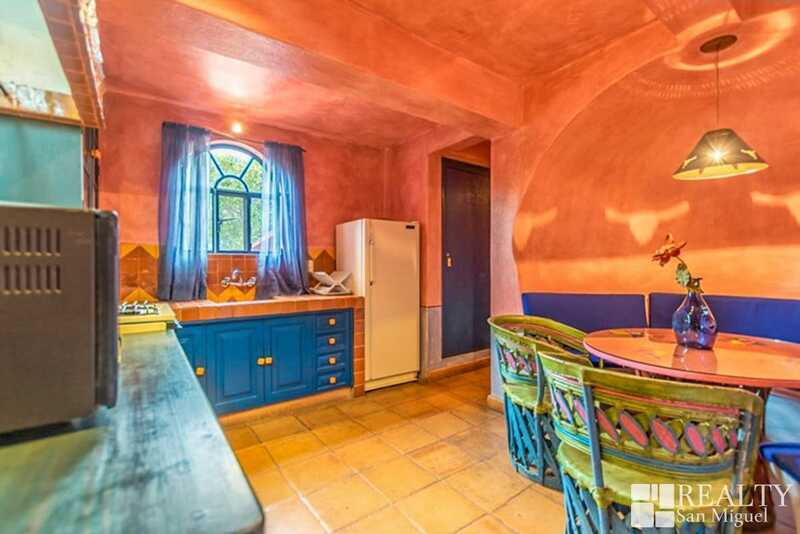 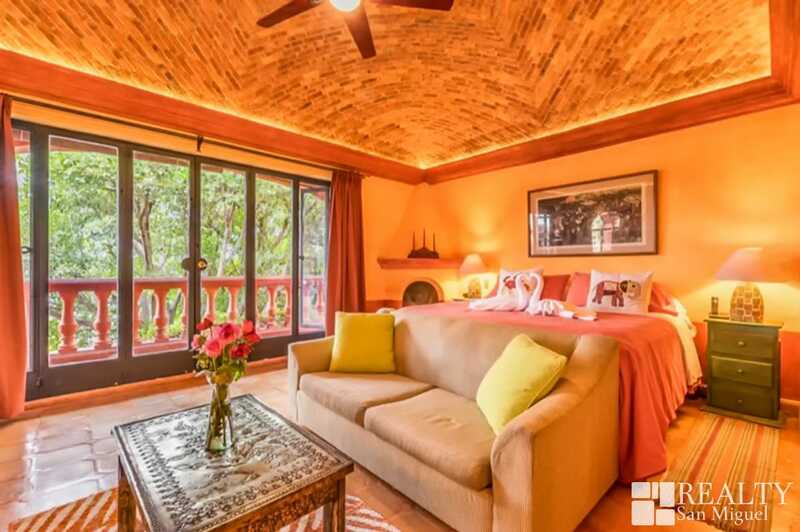 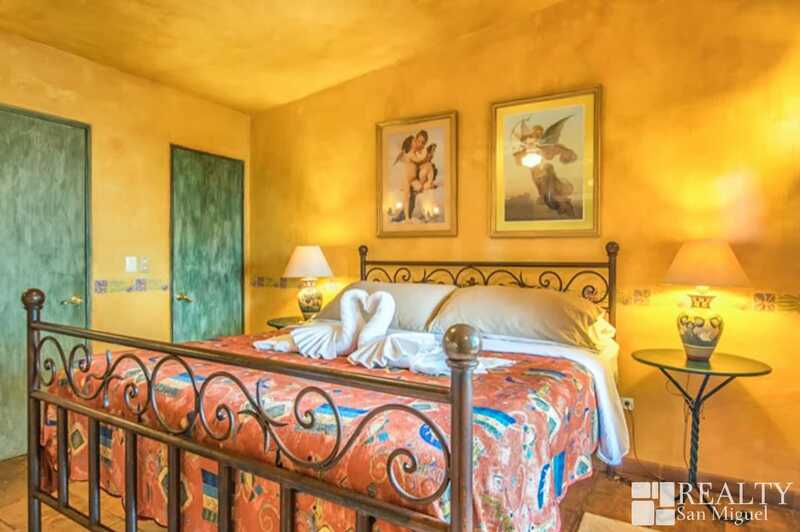 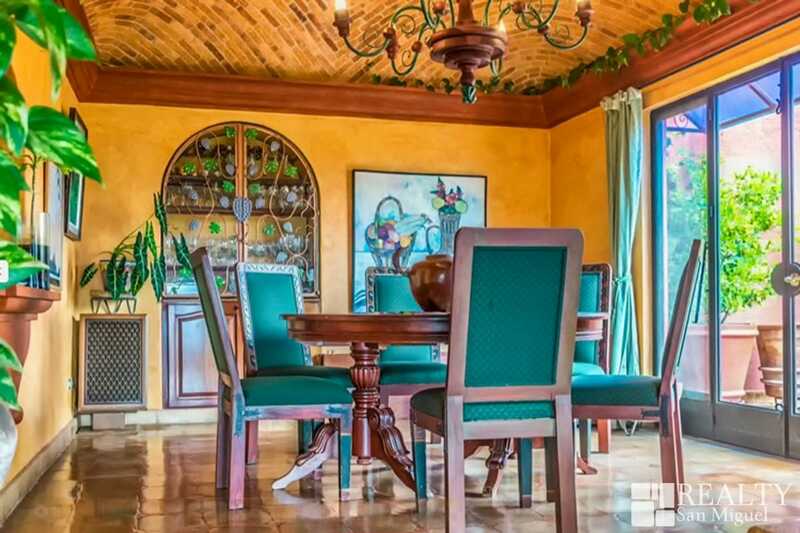 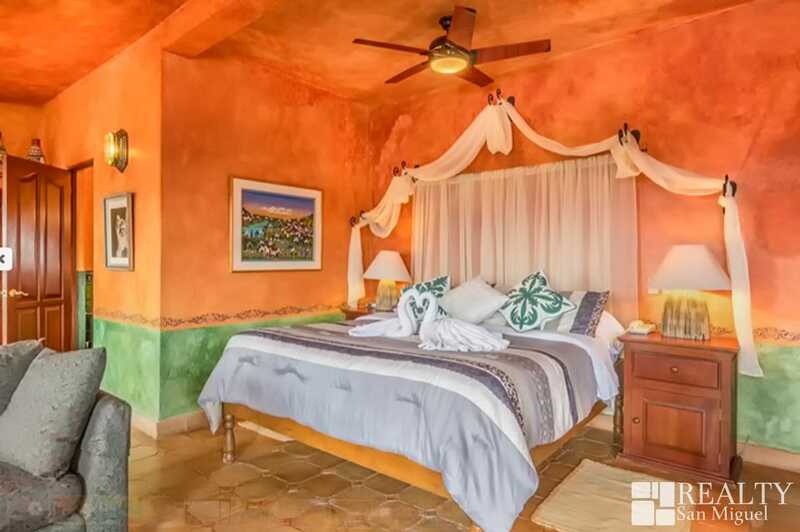 Casa Puesta del Sol includes, three kitchens – one in the garden bedroom suite, another serving the indoor/outdoor terrace “sunset bar” dining and entertaining area, and one for the main level dining room. 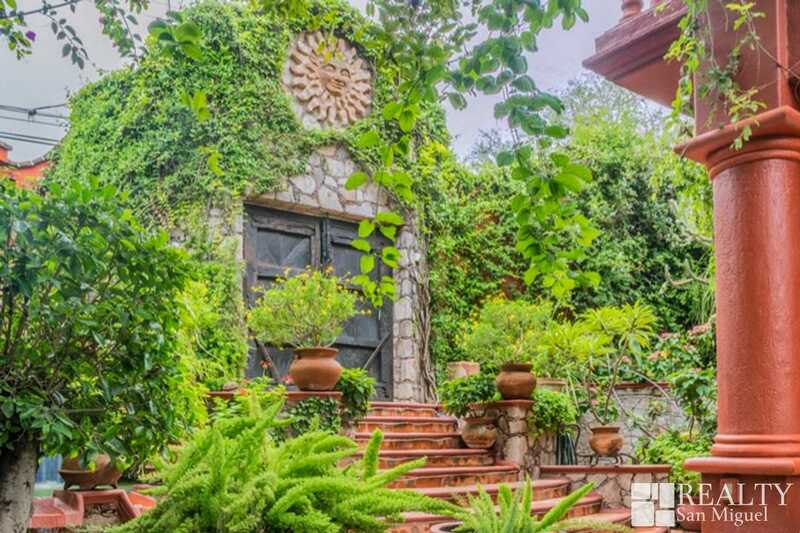 Lush, mature landscaping, trees, and Koi pond – if the new owners want to eliminate the Koi ponds to install a swimming pool, the current owners would like the fish and the turtles. 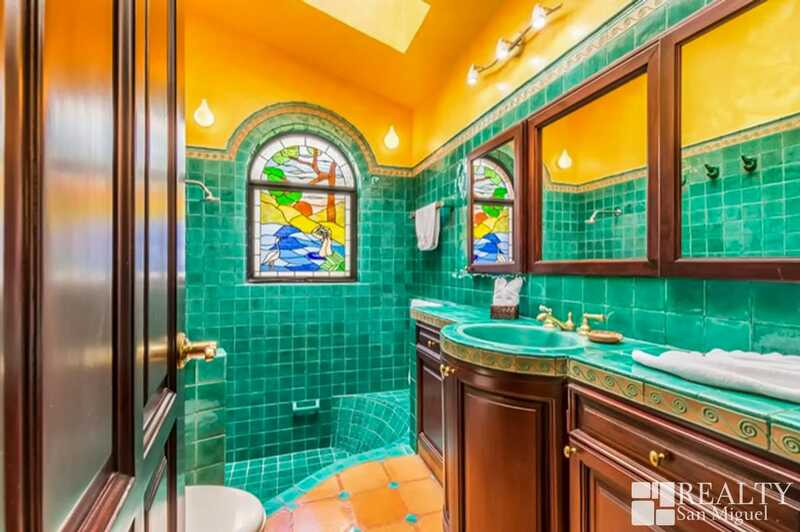 10-person Jacuzzi. 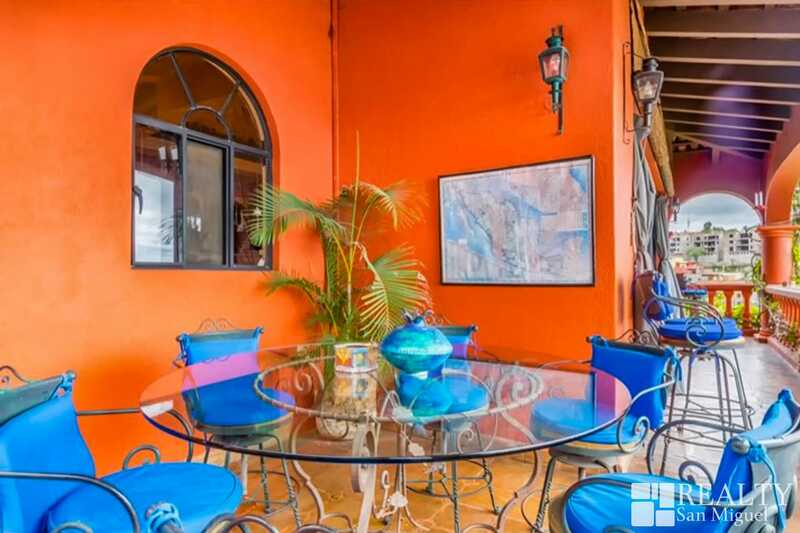 Sound system for common areas including terraces and gardens. 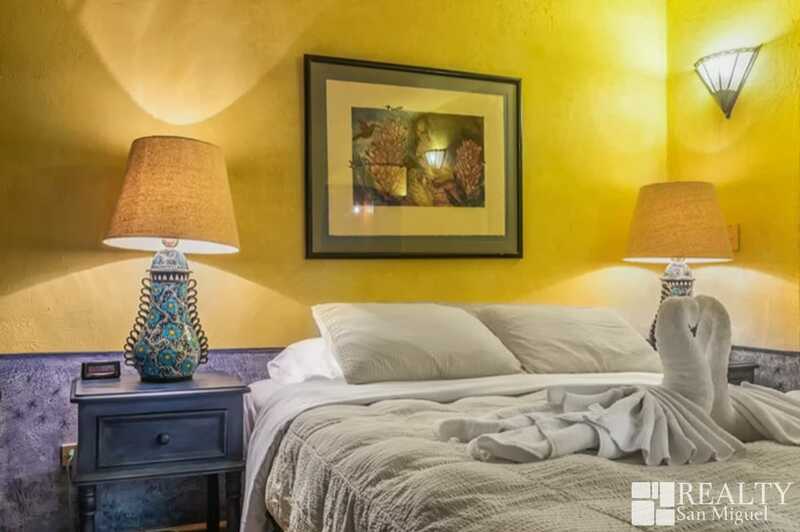 All appliances are included, however, artwork, furnishings, and liquor license are negotiable. 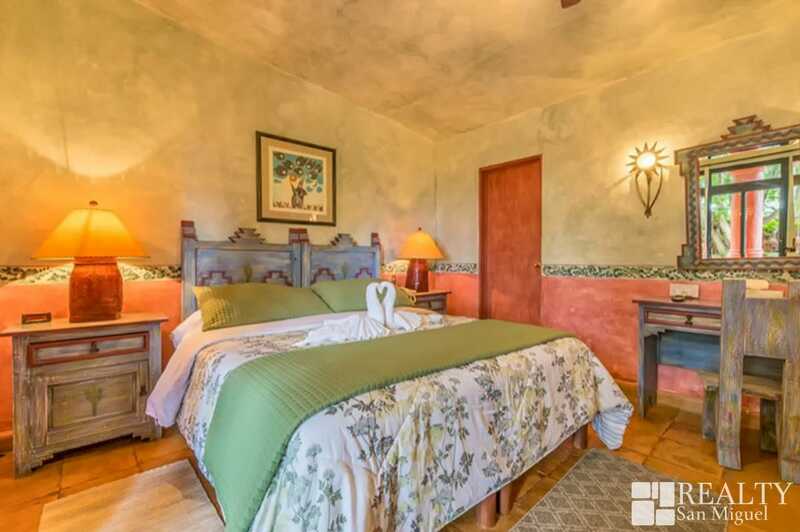 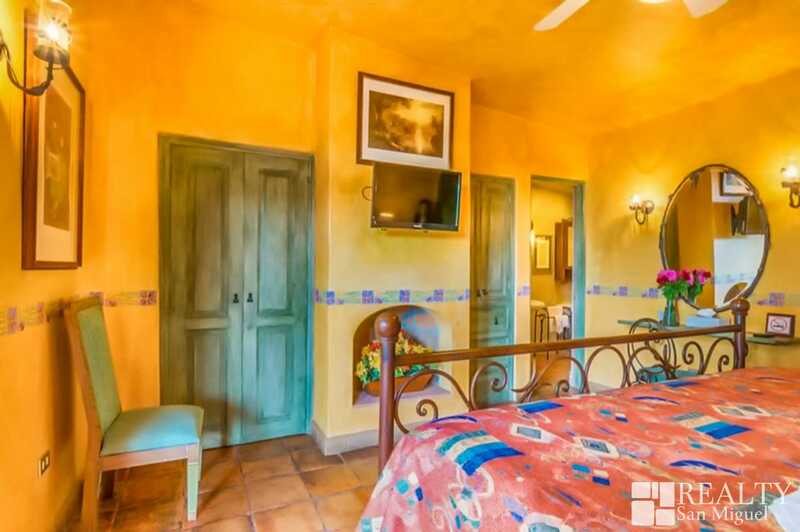 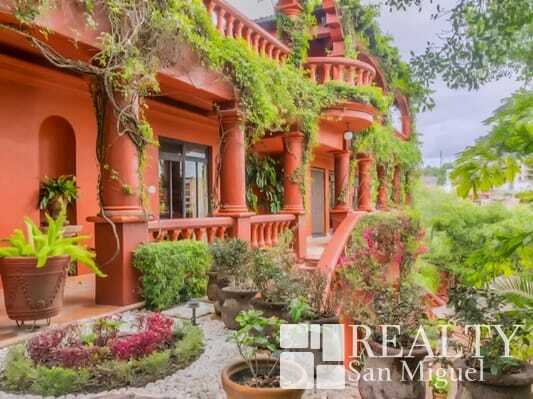 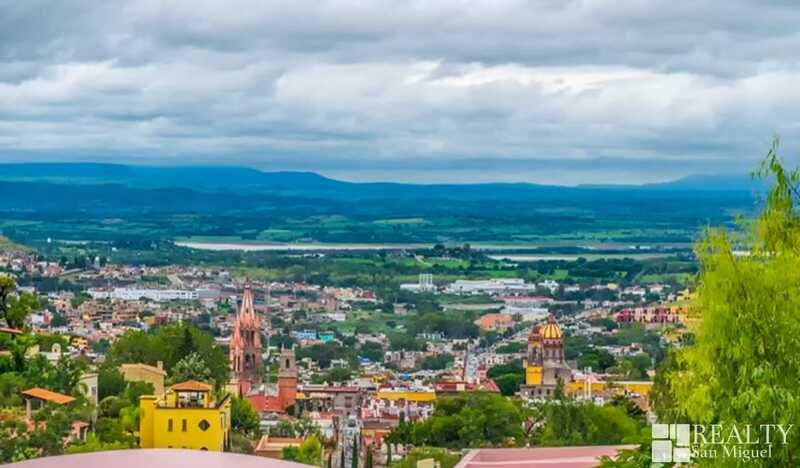 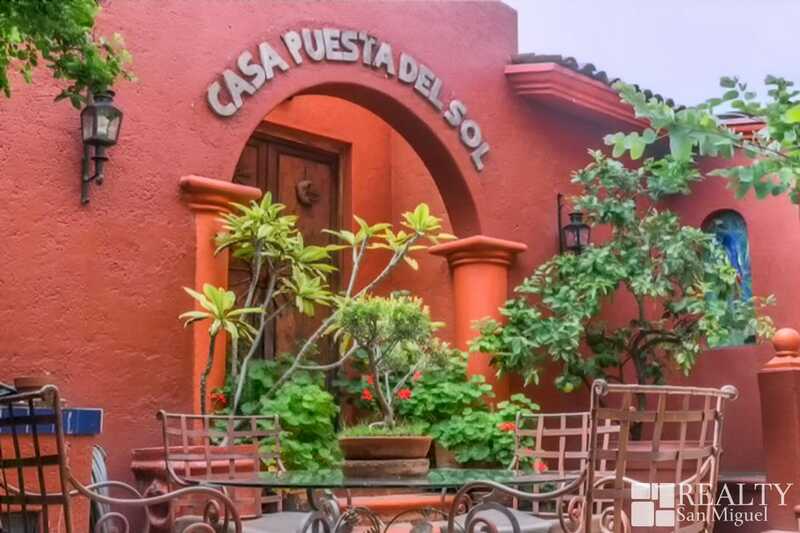 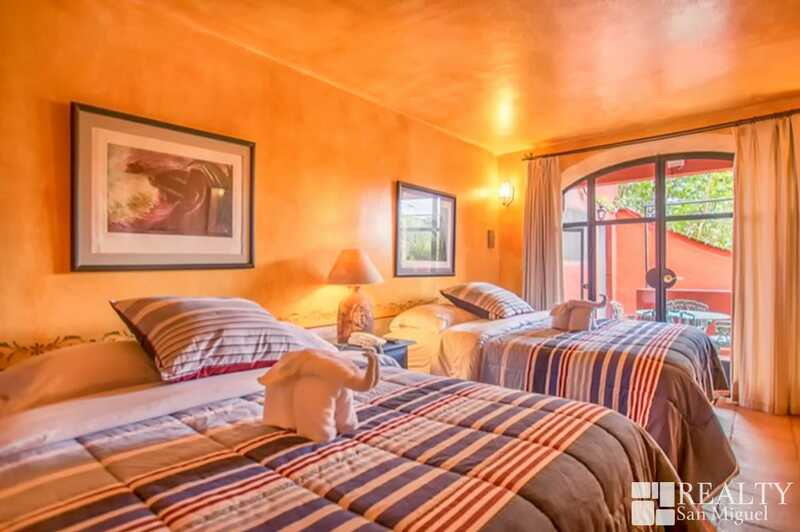 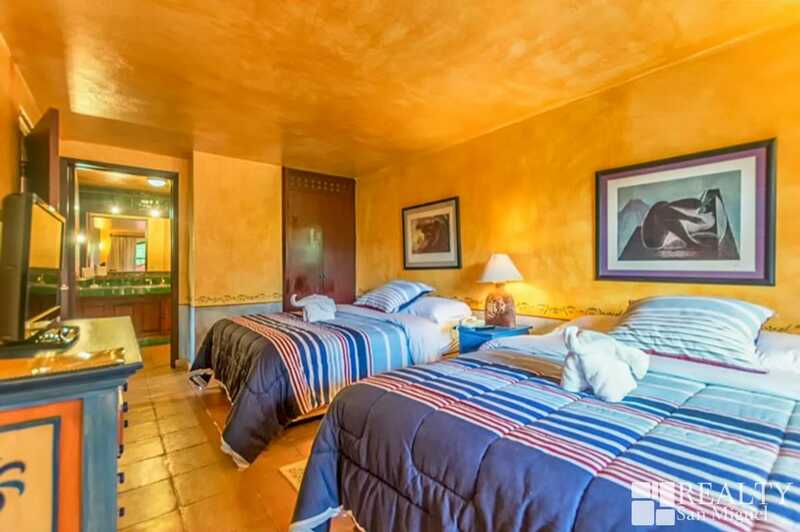 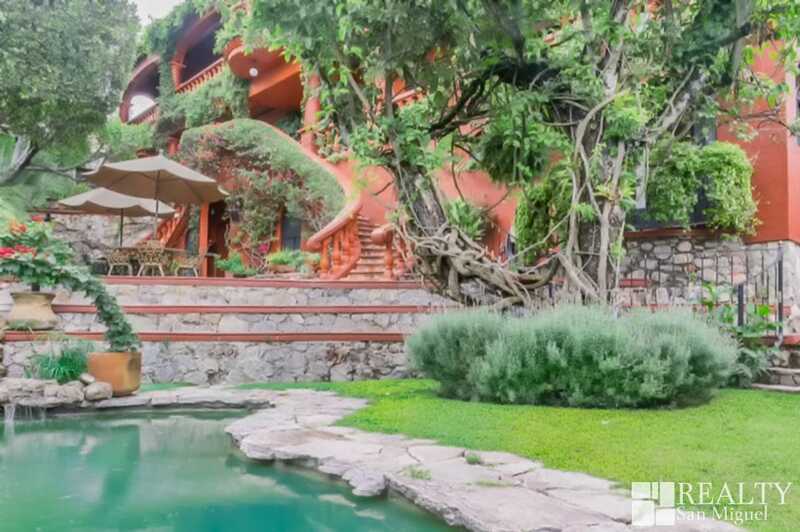 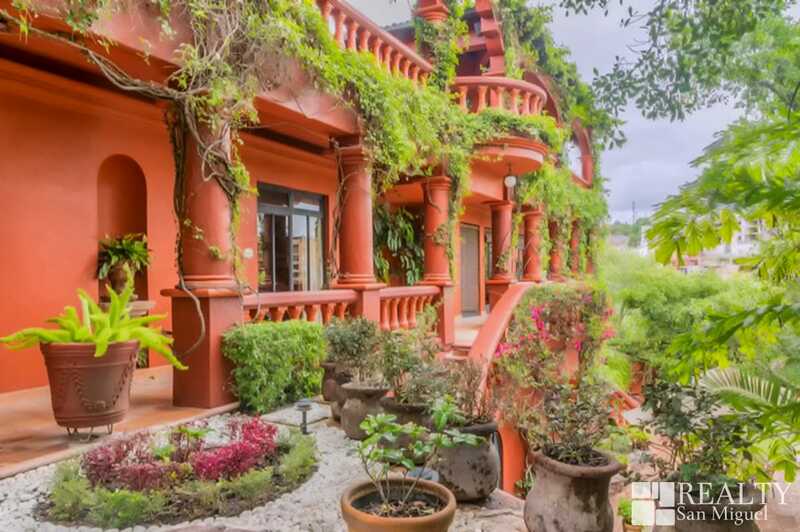 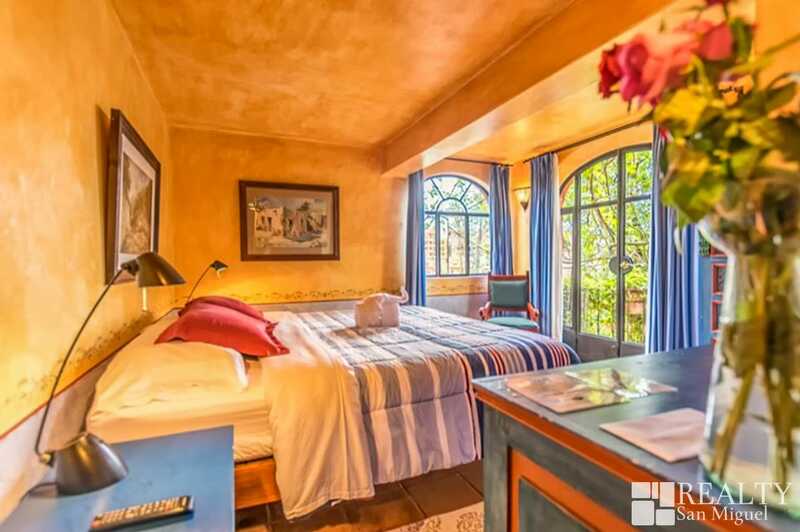 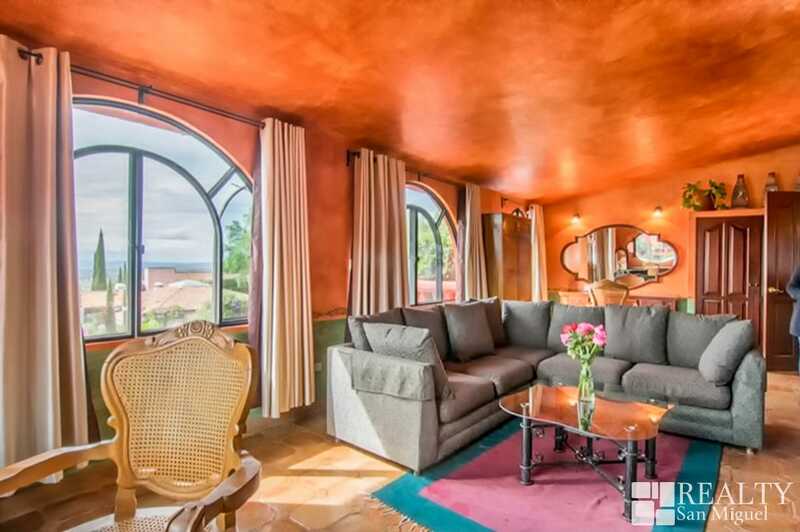 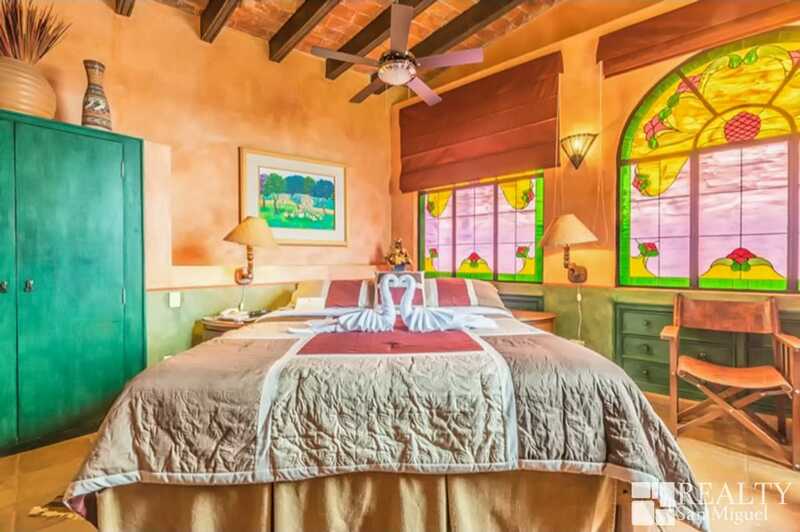 Known as Casa Puesta del Sol (Sunset House) because of its spectacular sunset views, this beautiful, turnkey, 8-bedroom home or B&B overlooking the historic center of San Miguel de Allende, is located in one of the most desirable neighborhoods in San Miguel, just a 15-minute walk from the Jardín, the town’s central plaza.